When we are in Christ, and we have the mind of Christ. We have the ability to walk through the storms of life and have peace in the midst of trouble. We can wonder why, but not despair over it. We just trust the Lord. 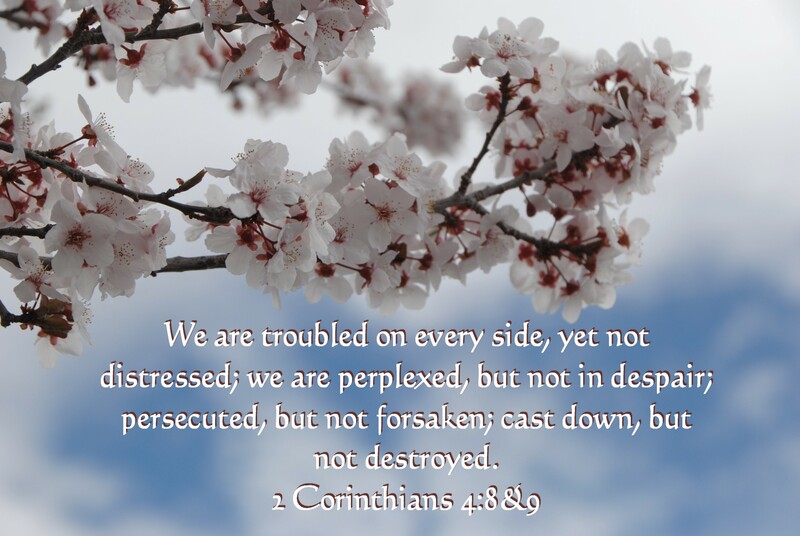 persecution may come, but we hold our heads up high because we know that Jesus never leaves us or forsakes us. Being cast down means to actually be down on our backs and not able to get up on our own. The the Lord picks us up during those times. We are a blessed people, knowing that Jesus will bring us through the things that would normally drive us crazy or tear us down. The mind of Christ which we have, is not crazy. We may have these experiences, but we are able to handle them because of Jesus. Thank You Lord!! !